The e-GRO team continues to grow! We would like to introduce our newest e-GRO members, Dr. Jean Williams-Woodward and Mr. Nick Flax. Dr. Jean Williams-Woodward is an Associate Professor and Extension Plant Pathologist at the University of Georgia. Jean provides statewide plant disease diagnosis and management recommendations for ornamental plants in greenhouses, nurseries, and landscapes. She also teaches three courses in plant disease diagnosis and ornamental pest management. She brings over 22 years of experience in working with ornamental plant producers and Extension Outreach providing education programs and on-site plant problem diagnostics. Mr. Nick Flax is a Horticulture Educator with Penn State Extension, based in Doylestown, PA. His background is in greenhouse crop physiology, with an emphasis on plug, annual bedding-plant, and herbaceous perennial production, and container-crop production using biocontainers. 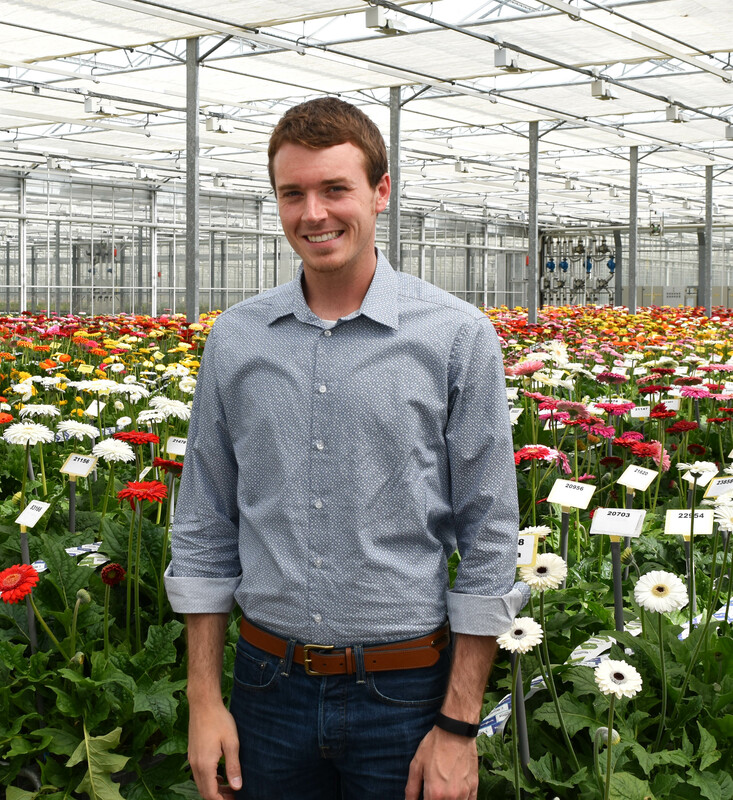 Nick has industry experience in wholesale young- and finished-plant production and retail floriculture, and a strong background in pest and disease diagnostics, biological integrated pest management (IPM), and controlled-environment crop research. W. Garrett Owen is the Eastern Michigan Floriculture and Controlled-environment horticulture Outreach Specialist with Michigan State University based in Novi, MI. He has an appointment split between Outreach and research. His areas of research interest include propagation and production, nutrition, growth regulation, cold hardiness, and production problem diagnostics.